It’s something that so many of us crave, yet it often seems so elusive. This guide will show you how to identify what financial freedom means to you and guide you through the various steps involved to achieve financial independence and early retirement from your job. Tom here. It took several years of hard work and sacrifice, but both Ariana and I were able to leave our jobs. One major challenge that we faced when trying to figure out how we would make it all happen was the lack of tangible information about HOW to actually make it happen. What we cover below are all of the steps that things to consider when planning your own financial freeom and early retirement. As we neared the end of college, I stood there looking ahead. The typical retirement age was 65. If you had saved enough money. Doing some simple math, that meant that I was going to have to work for at least 44 years for someone else. That meant 40+ hours a week, plus commute time. That meant letting someone else dictate when I had to work and when I could be with my family. Although I was only 21 and Ariana and I weren’t even engaged yet, I knew that wasn’t the life that I wanted. In addition, we were already leaving college with $66,000 in student loan debt and a few thousand dollars in credit card debt. And neither of us had a job yet. So even though I hated reading, a friend gave me a copy of a book called “The Automatic Millionaire: A Power One-Step Plan to Live & Finish Rich“. After reading it, I was blown away. I never realized that we could actually become millionaires. The book laid it out all so clear and used this cool concept called “Pay Yourself First”. Then it hit me… I wanted to become a millionaire, but I didn’t want to wait 45 years to make it happen. I set a goal to achieve early retirement and leave my job by 35. Only I had NO IDEA how I would make it happen. Cool fact… years later, after Ariana and I were able to build 3 businesses that allowed us both to leave our jobs and retire early, I had the chance to publically thank David Bach for writing his book and inspiring me. That was a pretty cool moment for me. It had taken us 12 years, but not only were Ariana and I both able to quit our jobs, but I was able to meet and thank one of the people who inspired me to think big and go after our dreams. So my goal with this post is not only to inspire you to think big and build your ideal lifestyle, but to show you the tangible steps and things to consider when you are working towards your own financial freedom and early retirement, including actually being able to leave your job. “Freedom” means different things to different people. It might be having certain things, such as a certain house, car or other items. Or it might be certain experiences, such as being able to take vacations or travel across the country. Or maybe it is the ability to have an impact. Maybe you want to donate your time to a cause that you care about, or maybe even start your own non-profit to change the world. If you are struggling to gain clarity about what freedom means to you, be sure to check out our Lifestyle Plan With Purpose guide. Whatever it is that you seek, it all starts with being able to understand what it will take for you to achieve your own freedom. For most people, the biggest barrier to achieving true freedom comes from the fact that they have to work a job in order to support themselves (and their family). For most people, their job requires a minimum 40 hours a week. This amount of time increases once you add in commute time and extra time that their job may require. So it is no wonder that many people spend 50, 60 or even more hours per week contributing to their job. Pay Yourself First: This includes things important to you (before your other expenses get paid), such as your emergency fund, additional savings, retirement (non-401k), investments, and any college funds for your kids. Housing: This includes things like your mortgage (or rent), your real estate taxes, your homeowner’s insurance, maintenance, furnishing, and anything else related to where you live. Utilities: This includes things like your electricity, gas, water, garbage, phone, internet, and cable. Automobiles: This includes buying or leasing your car(s), car insurance, gas, maintenance, and saving money for a new car. Food: This includes your groceries for you and your family, as well as any money spent on coffee and eating out. Personal: This includes money spent shopping (ex. clothing), hobbies, child care, health insurance, life insurance, medical co-pays, etc. Debt: This includes any debt that you owe that isn’t covered in other categories. These could include things such as student loans, credit cards, home equity line of credit (HELOC), and other loans. Miscellaneous: Other monthly expenses that you have which are not covered in the above categories. To begin, you need to have an understanding of how much money your household (you plus your significant other if you have one). This is not the total amount of money that you make, but how much you ultimately get in your personal checking account when you get your paycheck. So go through and make a list of the different sources of monthly that your household brings in each month and the dollar amount. Once you identify all your sources of income, write in the average amount of money that each source bring you in each month. All all of the sources up and you will have your monthly cash flow in. Now that you know your monthly income, the next step is to determine your monthly expenses. As we described above, you likely have a handful of different categories that your expenses fall into. Start out by using the categories above. Gather up your bank statements from the last 1-2 month, along with any and all of your other bills. Spend a little bit of time going through them and categorizing your expenses into one of the above categories. Now that you know the sources and how much money comes in and goes out each month, you can figure out the much of a surplus or deficit you have each month. You will do this by taking your total monthly income and subtracting your total monthly expenses. If you have more income than expenses, then you have a surplus and have more money coming in than your expenses. Congratulations! This is a great place to be! If you have more expenses than income, that means that you then have a deficit. This means that you are not bringing in enough income to cover your expenses each month. This means you are either borrowing to pay your bills (either from your savings or from credit) or you are not paying your bills and are getting behind. Using the example above, this is how you would calculate how much money is remaining. In this example, this couple is in a pretty good place. They have an extra $1,600+ left over each month. This provides them some great flexibility and can be used to pay off debt (which we will cover in the next section) or be put into savings, which will make it easier to leave your job (which we will cover in a later section. So there we were. 24. Just married. And with $209,000 worth of debt! If you don’t currently have any debt (outside of say, your mortgage), congratulations! You have likely been very responsible with your money and can skip this section. If you do currently have debt, then this section is for you. As you can see, we’ve been where you are. In this section, we are going to share some of the best tips and strategies that we’ve come across that have helped us and others get out and stay out of debt. This is a CRITICAL piece of achieving the financial freedom and lifestyle that you desire. So as we mentioned, step 1 is figuring out how much debt you currently have and the sources of that debt. With the following information identified, you can put this information into an organized table, such as the one shown below. This is part of a debt reduction calculator spreadsheet that was created by Vertex 42. Organizing your debts in this way will then let you see how much total debt, how much is owed on each debt as well as how much you are paying each month towards your debts. In this case, we can see that $270 of this person’s monthly budget is going towards their debt. That means that once this debt is paid off, this person will then not only no longer be in debt, but they will also have an extra $270 each month that they can allocate to building their ideal lifestyle. Once you know how much debt you have, you may initially feel bad or overwhelmed. This is to be expected and is normal. Even if you have more debt than you thought, knowing how much debt you have is powerful. This is the first step to owning your debt and not letting it own you. Each of your debts has minimum payments, which is the minimum that you must pay on each debt each month. In this example, that’s $270/month. This may initially seem great until you look at how much it will cost and long it will take to pay off all of your debts with just the minimum payments. In the above example, the total debt is $26,500. If you only pay the minimum payments, it will end up costing you $67,172 total. That means that you will pay $40,672 in interest on top of your $26,500. Oh… and it will take over 20 years, assuming you don’t add any more debt on. That means if you are currently 35 years old, you won’t have this debt paid off until you are 55. Double ouch! So clearly this is not the path that you want to take, so let’s walk through some scenarios and help you plan out your course to get this debt paid off with a lot less money spent and a much shorter time period. If we increase our monthly payment from $270 to $500, let’s see how the numbers change. Instead of paying over $40,000 in interest, you would now only be paying $10,584. That’s nearly a $30,000 savings from just paying an extra $230/month towards your debt. Oh, and it also cuts the time period down from over 20 years to about 6 years. But what if you increase the amount that you pay on your debt to $1,000/month? Well now you are only paying about $4,000 in interest and you will have all of your debt paid off in about 2.5 years. So after running a few scenarios, you can see the impact of increasing how much you are paying onto your debt each month. Well, your first option is any money left over from your monthly budget above (your surplus). A second option is to look to reduce your monthly expenses. This can be done in a variety of ways, such as eating out less and reducing or canceling your cable. You can also start a low-cost side-business to generate some extra income that can be paid onto your debt. There are lots of potential options. The key is really understanding that eliminating your debt is a key component to achieving financial freedom. Additionally, as we can see from this example, once your debt is paid off, you will free up anywhere from $250 – $1,000/month to spend in more exciting areas of your life. So far we’ve talked about budgets and debt. When are we going to get to the fun stuff, like being able to quit your job? Well, we are building towards that. Our next step is defining your “Freedom Number”. What is a freedom number, you may ask? Well, it is the amount of money that you will need each month in order to leave your job and be able to cover all of your expenses. We took the first step towards getting clear on your freedom number above, but this is where most people fall short. You see, when you leave your job, your monthly cash flow needs will change. Some of your expenses will increase while others decrease. So we need to take those changes into account to figure out your freedom number. First up, let’s consider additional expenses that you will incur when you leave a job. Health Insurance: If you are getting your health insurance through your employer, you will need to use COBRA for a period of time (up to 18 months) or find and pay for your own health insurance. This can be costly. Prior to leaving my job with health insurance, I was paying about $949/month for health insurance, which was the “Gold” plan. This covered Ariana, myself, and our 2 children.My payment on this same plan if I used COBRA was ~$1,800/month. You heard that right. As a family of 4 living in NY, we would have to pay nearly $2,000/month just for health insurance.We did some shopping around and ended up with a “Bronze” high-deductible plan that only costs us $1,100/month. Also, remember that your health insurance is typically a deduction BEFORE you get your paycheck. So you may not have included it in your monthly cash flow needs in step 1 above. Be sure to do some research on what your health insurance will cost after leaving your job and include it as an additional expense when calculating your freedom number. Retirement: Hopefully you are contributing to your retirement on a consistent basis. This can be done via a 401k, an IRA or some other means. Just like with your health insurance, this expense comes out before you see your paycheck, so we sure to add it to your monthly expenses when you leave your job.Also, remember that your employer may be matching your retirement contributions, so you will either be contributing less towards your retirement when you leave, or you will have to increase your monthly expenses to cover the additional retirement investment. Self-Employment Tax: Self-employment tax is actually the combination of two different taxes: FICA & Medicare. When you are employed, your company pays half of this while you pay the other half.Once you no longer work for another company, you will be responsible for the entire portion of this, which is 15.3% (12.4% for Social Security tax and 2.9% for Medicaid tax). Personal Income Tax: This is what we all are used to paying. The specific percentages depend on many factors, but it starts at 10% and increases as your taxable income increases (capping out around 40%).Typically you will have monthly withheld from your paycheck to cover these taxes, again before you receive your money. So when you leave your job, you will need to include these costs into your monthly expenses and put this money aside. State Income Tax: Just like personal income tax, most states will impose a separate state income tax. We live in NY, so this is an additional 4-8.89% tax that needs to be accounted for.In total above, you can see that when you leave a job, you will owe a decent amount of the money that you earn in taxes (starting at 29.3% assuming the lowest bracket and living in New York). Vacation: While not an additional expense, you likely receive a vacation at your job (anywhere from 2-6 weeks depending on how long you’ve been employed). When you are an entrepreneur, you don’t get any paid vacations unless you build them in. Especially during your first year in business, it’s very likely that you may be working all 52 weeks of the year. Sick Days: Just like vacation, sick days are not an expense, but typically they are included in your work package. When you no longer have a job, if you need to take a sick day for you or your kids, that will be time that you are not working and potentially not getting paid. Job Paid Perks: Your company may offer perks that you will lose once you leave. For example, they may pay part of your phone bill or offer you access to the company gym. These perks will go away when you leave, so you will want to add them to your monthly budget. If you are adding things up as we go, you may start to get pretty depressed. You may have just added a few thousand dollars to your monthly expenses when you leave your job, making it even more difficult to do so. But don’t stress. There are a handful of things that you can do to offset these additional expenses. When you are working a job, you have certain costs that are directly related to that job. Commuting Expenses: It costs money to travel to work, such as gas for your vehicle. This could also be the cost of parking (depending on where you live) or the cost of public transportation. When you leave your job, you likely will no longer have these expenses. And if you do, they will likely be less and will be a tax deduction for your business. Work-Related Meals/Coffee: It can be so easy to spend money on food when you work a job. You don’t feel like making lunch, you forget lunch or a co-worker wants to go out for lunch. This, combined with stopping by Starbucks for coffee one or two times a week can really add up. Work Clothing: Your job may have a specific dress code. This dress code could require you to purchase clothing that you wouldn’t purchase/wear otherwise. When you leave your job, depending on what business you have, you should be able to reduce or eliminate the money that you spent directly on work clothes. Miscellaneous Expenses: Depending on your job and circumstances, you may be able to find other expenses that you save when you leave your job. For example, you might be paying for an increased data plan on your phone, but you may not need as much data if you will be working from home or can use the WiFi at your own business. Take a look at your budget and see if there are other expenses that you no longer need. Although you can save some money on the items listed above, those items alone are likely not enough to make a significant impact on your monthly expenses. Another way to reduce your expenses, and extend your runway (more on that later), is to downgrade your lifestyle. This doesn’t have to be a permanent downgrade, but any changes you make now will lower your expenses and make it easier to quit your job. Downgrade Vehicles: One option that can have a big impact on your expenses is to downgrade your vehicles. You may have vehicles that are more expensive than you need. If you own the vehicles outright, you may be able to sell them, buy a cheaper vehicle and put the difference into savings. If you are leasing or making car payments, you may be able to sell your vehicle and purchase a vehicle with lower monthly payments. Downgrade Living: Another option that can have a big impact on your monthly expenses is your living situation. You may have a house that is more expensive than you need or an apartment that is more than you need. If you have a house, you could sell the house and purchase a lower-cost house, move into a lower cost apartment, or even move in with a friend and family members. Your lower mortgage payments or lower rent will reduce how much money you need to make each month. You may also be able to make a profit if you sell your house, which can then go into savings. Downgrade Insurance: With a less expensive vehicle and/or less expensive house, you can likely reduce your insurance expenses on these items. Also, if you don’t have these policies combined with the same company, you can typically get an additional discount by combining them. Reduce Child Care: If you are paying for your children to go to daycare 5 days a week, another option is to reduce the number of days that you kids attend daycare. If you are able to work with your kids home, or can get everything done in 3 or 4 days, you can save some money on this expense. Be careful though. You may be better off continuing to have them in daycare so that you can focus on your work when they are there and being present with them afterward. Reduce Cable: Cable bills can easily run a few hundred dollars these days. You can scale back to a lower-cost plan, take advantage of a new member deal with another carrier, or drop it all together. Many people are “cutting the cord”, meaning dropping cable and instead opting for services like Netflix, Hulu, and Amazon Video. Reduce Subscription Services: In addition to cable, review your monthly expenses and look for other subscription expenses that you can eliminate. You may have a gym membership that you never use, a music streaming service, or other subscriptions that you can cut. Eat Out Less/Grocery Shop Smarter: Most people spend a decent amount of money eating out every month, so you may be able to free up some budget there. You can eat out less, or swap out eating out for eating in. For example, maybe you do a $5 frozen pizza instead of a $25 delivery on Friday night. You can also reduce/swap out some of the food on your grocery list. Sometimes switching to a different store can also cut back. As you can see there are many different ways to reduce your expenses to ease leaving your job. Some may be for you, some may not. The important thing is discussing with your significant other and your family and decide what is the right decision for you. Cutting back some now can make it much easier to leave your job and achieve financial freedom. One question that I often ask people (and that you’ve been working to answer in the previous sections) is how much money they need to bring in to leave their jobs. Now, if you have gotten to this point (and actually have done the activities that we’ve already reviewed), then you should avoid most of the above scenarios. But there are still more scenarios lurking. One of the major ones is not having any idea about what the business that you plan to build needs to look like in order for you to achieve your financial freedom number. So going back to the initial question… “how much money do you need to bring in to leave your job?”. “$4,000/month, Tom” might be a typical answer. OK, great. So how much money does your business need to bring in to allow you to bring home $4,000/month? The money that you personally bring home (which goes into your PERSONAL checking account) is different than the money that your business brings in (which goes into your BUSINESS checking account). If you are treating the business money as your personal money, you are going to run into a whole plethora of issues. You are different than your business. Your name is different. Your age is different. You even have different social security numbers (ex. Your’s is actually called a social security number. Your business’s is called an Entity Identification Number – EIN). Therefore, your personal money and your business’s money is different. They should have separate checking accounts and your personal money should only be used for personal expenses while your business money should be used for business expenses. If you are mixing your personal and business money, then you are commingling your funds. What does that mean? It means that you are missing the two. Why is this a problem? Regardless, it is not a good idea to commingle funds. So what should you do instead? Open a Business Bank Account: Open a separate bank account for your business and only use that account to conduct business. All of your business income should go into this account and all of your business expenses should be paid out of this account. This goes the same way if you want to use a credit card for your business. This will make it easier to keep track of your business financials and see opportunities to improve the business performance. Transfer Money From Business to Personal: When you want to take money out of the business (pay yourself), don’t spend it directly from your business account. Instead, transfer it to your personal account. You will record this as a withdrawal and can keep records, making it easier for your bookkeeper and accountant. Note: I am not an accountant nor an attorney. We always recommend consulting professionals when it comes to financial and legal matters. The above information should help you be able to ask the professionals on your team better questions to protect yourself. If you are not commingling funds, then you are treating your business income as separate from your personal income. This means that your personal income will be a portion of your business income. There are a variety of other categories, but those cover the main ones. When totaled up, they will account for 100% of your business income, but how do you know how much should go into each of the above “buckets”. Mike Michalowicz has a great tool to use as a starting point for determining this. In his book Profit First: How to Transform Your Business From a Cash-Eating Monster into a Money Making Machine, Mike introduces the concept of Target Allocation Percentages (TAP). This concept, seen below as a table, provides you some percentages to use when determining what percentage of your business income goes into each category. Using these, numbers, here is an example. Let’s say that your business generates $100,000 in revenue over the course of a year. Below are the percentages and dollars amounts for how your money would be split into the various “buckets”. By breaking this out using this model, we can see that only 50% of your business income actually becomes your personal income, not 100% like some people commonly believe. So what does this mean for you? It means that we can work backward to figure out how much money your business needs to make based on how much you want to bring home (your freedom number). So let’s say for example that your “Freedom Number” is $5,000/month. That means that the “Owner’s Pay” (your personal income) from your business is 50% of the business revenue. So in order to take home $5,000/month in Owner’s Pay, your business need to generate ~$10,000/month in Business income (basically double Owner’s Pay to determine business income). Here’s is a rough model of what your business would need to look like in that example. That means in order for this to work, you need to create a business that generates $120,000/year. The expenses on this business cannot exceed $36,000/year. Now, this quick calculation is not an exact science, but it does give you a starting point. Most people have no idea how big of a business they need to build in order to create their ideal lifestyle. 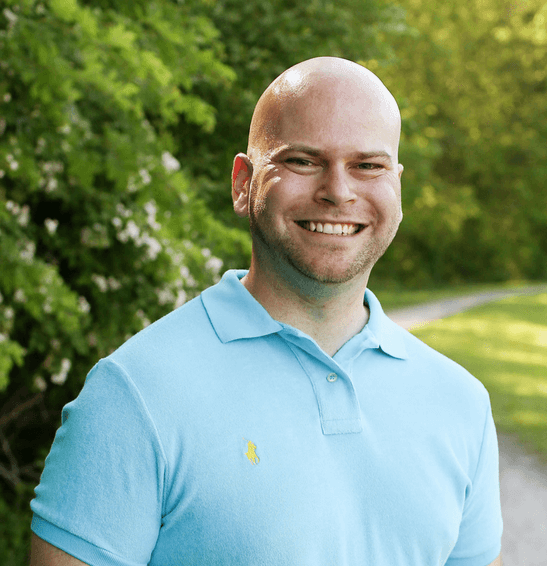 If $60,000/year will provide you with your freedom from working for someone else, then you need to build a business that generates somewhere around $120K a year. It might be a little more, it might be a little less, but you at least now have a ballpark. You know that you don’t need a million dollar business. As long as your Freedom Number is < $20,000/month, this calculation should work for you. As you get beyond that, the percentages change for each bucket. A spreadsheet like the one below makes it much easier to calculate the numbers. For now, we will not dive any deeper into the potential business that you will build. Don’t worry, we will come back to this in the “Concept to Cash” section of the book, but for now it’s good enough to generally know the size of your business. There is a common saying (which I hate), which says “entrepreneurs jump off the cliff and build the plane on the way down”. This is NOT how smart entrepreneurs build businesses. Because when you jump off the cliff, you have a limited runway. That runway is the distance between the cliff and the ground. And I’ll tell you, it is not very fun trying to build a plan while falling to earth with a very messy landing for most people. Remember Wile E. Coyote? What happened when he jumped off the cliff? He dropped to earth, increasing speed on the way down, only to smash into the ground. For entrepreneurs who jump off the cliff, the end result of often the same. Except when they land, they create a big hole. This is a financial hole, as well as an emotional hole. And it is hard to dig your way out of. You’ve likely had to go back to a job. You blew through your savings. You failed, and everyone around you told you that you failed. Sure… you will hear the occasional “success story” of the entrepreneur who did this; they quit their job, had no business, minimal savings and made it all work. But for every person that falls into this criteria, there are MANY more who crash and burn. You just don’t hear about them because they are often in a huge emotional and financial hole, and not many people brag about that online. So what’s the alternative? Mapping out your runway horizontally (like airplanes) and giving yourself PLENTY of runway to set yourself up for success. The IDEAL scenario in this case is that the income that you are taking home from your business EXCEEDS your freedom #. This means that you are working your job until this occurs, which would be a while. For example, if your freedom # is $5,000/month, then in the previous section you figured out that your business likely has to be bringing in ~$10,000/month so that you can bring $5,000/month home personally. This is ideal because once that happens, you can leave your job and you know that you have enough income coming in from your business to cover all of your monthly expenses without needing to tap into savings. In this scenario, your runway is “unlimited” as long as your business income stays above your freedom #. This is one way to reduce the risk of your plane crashing because it runs out of runway. So if you can keep your job until you meet/exceed your freedom number from your job income, that is ideal. I first learned about this concept while playing the game Cashflow 101. The basic concept was that you go around the board, the “rat race”, collecting your paycheck, making investments and starting businesses. Once you get your “passive income” from these investments and businesses to exceed your income, then you could leave the rat race (your job) and start working on your dream. I really loved this concept and would highly recommend this game as a way to solidify the mindset and “practice” being an entrepreneur. Although it is a game and not completely realistic, it is fun and does a good job of helping you understand concepts such as an income statement, cash flow, and balance sheets. These are CRITICAL concepts that you will need to understand when you own your own business. Since then, after working directly with and interacting with thousands of entrepreneurs, I’ve found that many people don’t want to wait this long and would prefer to leave their job sooner. In this case, their business income has not yet exceeded their freedom number. This means when they leave their job, they will be left with a gap between how much income they personally take home from their business and how much their monthly expenses are. This income gap will need to be covered by savings until the business income gets to a point where it equals or exceeds your freedom number. Most people fall into this scenario, but never actually take the time (or have the tools) to figure out exactly what their options are and what they need to do to make sure they don’t have to go back to a job a few months after they quit because they ran out of money. Here’s what that scenario looks like. Basically, your runway would be 8 months. That means that you would have 8 months to get the money you take from your business to exceed your freedom # of $3,500. If you can’t make that happen, you will use all of your savings, run out of money and have to go back to a job. If you can increase your business income by $200/month (meaning you personally bring home an extra $100/month), you will extend your runway by 1 month from 8 months to 9 months. But if you can increase your business income by $400/month, you change from a 9-month runway to an unlimited runway. This means that you won’t run out of money. Wow. So as we model this out, if you can increase your business revenue by $400 each month, you will actually set yourself up with an unlimited runway. This shows the power of understanding your runway as well as understanding how much more your business needs to sell in order to allow you to keep working on your business and not having to return to a job. Basically, with you leaving your job and your spouse staying in their job, you would have 10 months to increase your income from your business from $1,000/month to $6,500/month. If you increase the business revenue by $200/month, this would extend your runway to 15 months. As you can see in these couple of examples, there are a few different factors that impact your runway. The longer you can keep your job, the more savings you build up and the faster you can increase your business income, the longer you runway is. So what key insights can we take from this? The longer you can stay with your job, the better position you put yourself in. This allows you to take financial pressure off your business (allowing you to make better business decisions), increase your savings and increase your business growth. When you do leave your job, the larger your savings, the longer your runway will be. Once you know how much you need to increase your business income each month, you will then be in a much better place to define your business goals and strategy. This allows you a better focus on your business and what key actions you need to focus on to make those sales and generate that income. So take some time and consider your various options and come up with a plan that works for you and your family. Be sure to have this discussion with your significant other (if you have one) and make sure you are aligned with the plan. Continue doing well at your job to keep that income coming in while you work your plan. Set, stick to and review your budget each month. If you have debt, follow the debt payoff plan that you created. Use the additional money that you have left each month to build up your savings. If you have a business, focus on increasing your business revenue to allow you to bring home more income from your business. If you don’t have a business, go through the process of brainstorming different business ideas. The Initial steps for this are covered in a guide that we wrote called “concept to cash”. As with anything, the plan that you create sounds great when you create it, but it likely won’t stand the test of time. Things will come up that throw it off. Some of your assumptions may not be correct. Whatever the reason, a CRITICAL piece of making this entire thing work is checking in on your progress and making adjustments. The most critical check-in time that we recommend is a monthly meeting. Well, first off it is not so often that it will take a ton of time or that you will get overwhelmed with it, but also not so infrequent that a bunch of stuff can change/throw your plan off and you don’t have time to recalibrate. Additionally, it is good practice to put together your monthly cash flow plan (budget) as we defined in step 1. Monthly you can check in and see how you actually did compared to the plan and make adjustments, either to the plan or to your budget, for the upcoming month. If you have a significant other, this is also a great time to sync up together. This will be an ongoing process that you will want to develop into a consistent habit. By checking in each month, on both your personal goals and your business goals, you will be able to see how you are doing on your plans (your monthly budget, your debt payoff plan, your runway, your business income/goals, etc.). This will allow you to make adjustments along the way and make sure that you are continually moving towards being in a position to quit your job and continue putting the right pieces in place to achieve financial freedom and early retirement. Do you want access to the templates and training to help you get out of debt, define your runway, build your business and quit your job? 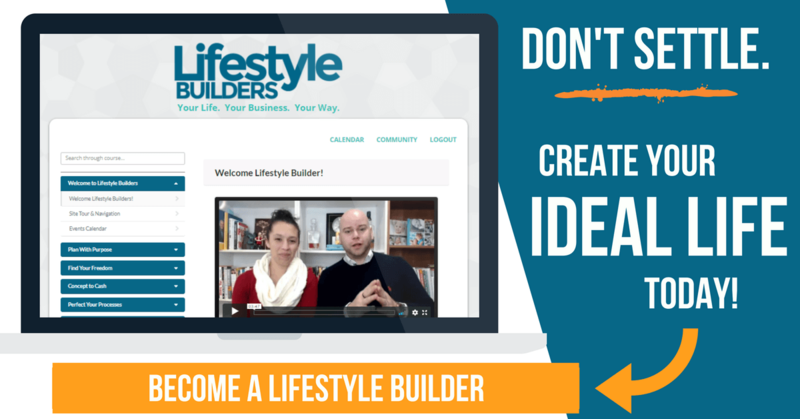 If so, then we invite you to become a #lifestylebuilder.